Heartland Outdoors Forum | Good Luck Youth Hunters!!!! Good luck boys n girls!! !Take lots of pics and have fun!!!! Was just thinking the same thing myself… Good luck to all that are out there getting the next generation excited about what we all so passionately love… Everything I could do to not take my 8 year old out this year, but he is just not ready… He has already been in the bow stand with me for 3 hours as well as my 5 year old for an hour and a half… Next year, next year we will be slaying them with you!!! I cant get my 9 and 10 year olds to calm down. Gonna be a long night. I think im as excited as them. That is what it is all about!!!! Good Luck to you guys!!! Good luck to all. I have to wait till sunday. we will be camping out saturday night at the farm and hitting it bright and early. Im the one that’s wide awake, my 14y r old has been knocked out for hours!!! I couldn’t agree with you more!! Will be doing the youth hunt next year with my son good luck young hunters, you are our future to keep it going!!!! My 10 year old killed a 7 point. My 9 year old killed a fence pole. Fun all around! I dont know how to post pics. Matt showed me last year but i forgot. I can email you a pic. 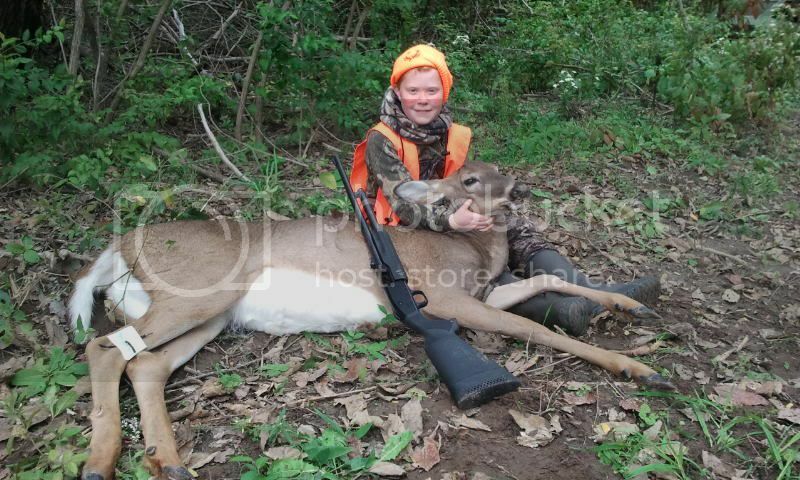 A BIG congrats to jcurri and his son on their hunt this morning!! !